A distinctive “swish-swish-pop-gurgle-pop!” rises from the sagebrush and a normally cautious bird transforms itself in a flash of fanned tail feathers, puffed chest, fluttering wings and flirty dance moves. It’s Gunnison sage-grouse mating season. Each spring, male sage-grouse gather on age-old breeding grounds, called leks, to show off for females—that mostly ignore them. They might repeat their elaborate energy-expending dance for hours with usually only one or two males having any luck. About a third smaller in size than the more widespread greater sage-grouse, the Gunnison grouse is one of the most endangered birds in North America. By the time scientists recognized this grouse as a distinct species in 2000, land use and development had already reduced the species’ range to a fraction of its historical size. Today fewer than 5,000 survive in seven scattered populations in southwestern Colorado and southeastern Utah. But things are starting to look up. In November, the U.S. 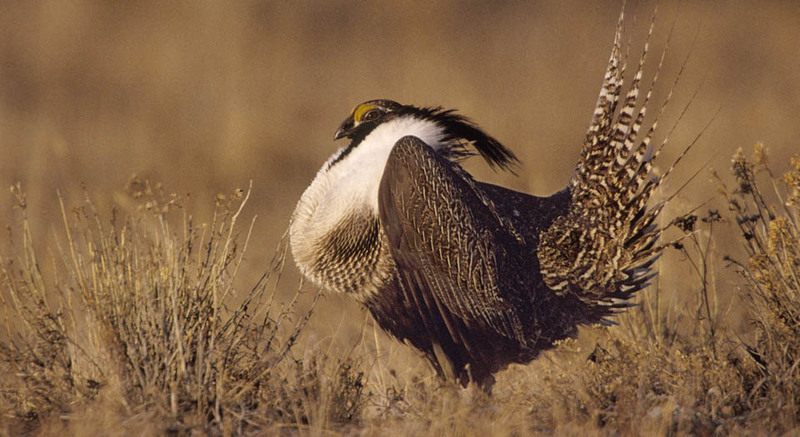 Fish and Wildlife Service listed the Gunnison sage-grouse as “threatened” under the Endangered Species Act (ESA) and designated 1.4 million acres of critical habitat to support the bird’s recovery. Protecting these rare birds helps other wildlife that share their habitat, including elk, pronghorn and songbirds. Want to help native pollinators? Here are some bee basics for your backyard. 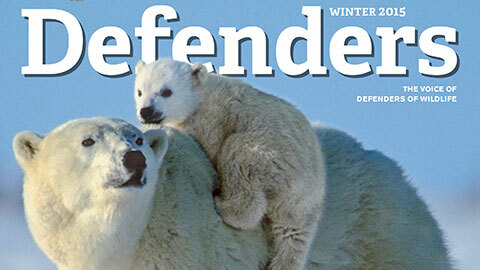 There have been many victories under the Endangered Species Act (ESA) over the years. But quite a few did not come because our government did the right thing. They came because conservation groups like Defenders saw the government was failing to comply with the law and used the tool of last resort: the courts. With an oblong face and a black nose splotch, the Sonoran pronghorn stands out against the cacti-strewn landscape of the American Southwest. Today our imperiled wildlife is at a crossroads. Extinction or recovery: Which will you choose?